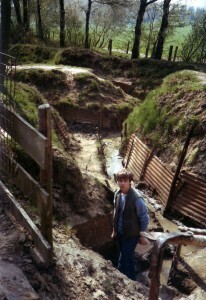 I have been sent some photos of a trip to the Ypres battlefields made in 1984. 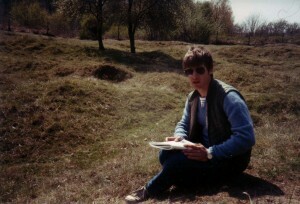 I was still in the second year of secondary school at this point so didn’t go along – the two intrepid travellers were my father and eldest brother, Mark (http://www.mgbtours.com/). For the both of them this was their first trip to any Great War battlefield. 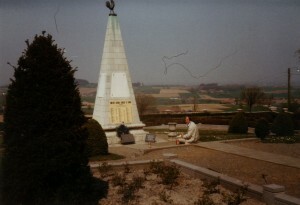 I am glad to say that it was certainly not their last – my father regularly visits both Ypres and the Somme with the rest of the Banning family and also with the wonderful Genesta Battlefield Club. As for Mark, he now spends his time as a full-time battlefield guide (and highly recommended he is too) so it is clear that this 1984 pilgrimage was the first of many visits to the hallowed ground of the Ypres salient. 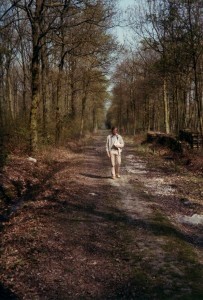 These pictures, taken in the pre-digital era, have been scanned and tidied up by me. Ignoring the questionable fashions on display they show fascinating details of many oft-visited places around the immortal salient – all without the coaches of visitors that often accompany some of these spots nowadays. 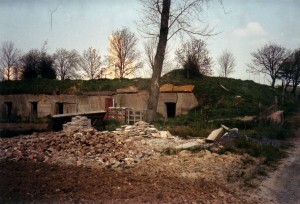 Of particular interest are the shots of the Advanced Dressing Station on the banks of the Ieper-Ijser canal at Essex Farm Cemetery which show the site before its restoration in the 1990s. 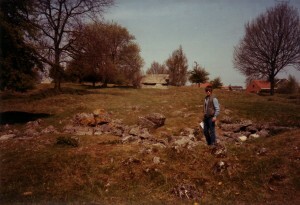 Modern shots can be seen by visiting this site. 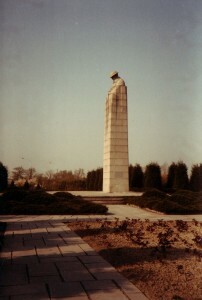 Visitors to the area will know of its association with John McCrae, author of ‘In Flanders Fields’. Also worth noting are the low trees at the Brooding Soldier Memorial at Vancouver Corner. It is amazing how the horticulture and the inexorable work of nature has such an effect on the way a particular spot looks. 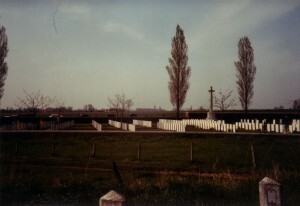 It was this site that held their main interest as they remembered my grandfather, Private Seymour Henry Banning, 13th Battalion, CEF (Royal Highlanders of Canada) who was gassed and taken POW very close to the spot on or around 22 April 1915 – one of the first men ever to have been gassed in warfare. Click on the pictures to see them at full size. Many thanks to my brother Mark Banning for these photos. This entry was posted on Tuesday, December 14th, 2010 at 9:40 pm	and is filed under Battlefield Tours, Miscellany, News from the front. You can follow any responses to this entry through the RSS 2.0 feed. You can leave a response, or trackback from your own site. Jem, good to see these again. 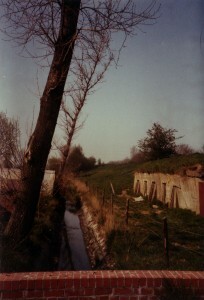 It was Essex Farm that really did it for me – such a change.